HomeBlog10+1 ways to avoid YouTube copyright penalty. Anny runs a website on fitness tips and tricks. She decided on setting up a YouTube channel to gain traffic and engage targeted audience. While surfing she came across a nice video on protein fat free cookies and uploaded it to her channel. It worked, Anny got some fresh new visitors, the video was discussed, and everything went okay. But suddenly she received comments blaming her for using content that is not hers. Anny messed up because she didn’t want to assign the video and earn money with the help of it for sure. She was afraid that the video would be deleted following by her YouTube account removal. Still the video is on, but now Anny asks me if she has a right to do such things in the future. Did she violate one’s copyright? Well, let’s see. Why share videos and mind possible YouTube copyright penalty? Do we understand that we may abuse someone’s rights, resting on a coach poking into a smartphone? Hosting millions of videos and performing God-knows-how-much replays every day, YouTube has definitely a huge office full of support guys processing copyright infringement requests and a small private town of attorneys somewhere on Phuket. Or how can it handle such a great number of copyright information? Although mistakes happen. OK, being serious now. If to speak briefly, YouTube is not creating copyright itself. It only performs laws accepted in a particular country. But here comes the thing: if you violate copyright, you violate the country law. Which is quite serious and may lead to penalty charges or even jail. Who wants to be penalized? Ask the owner of the video whether you can use it on your channel. It can save you from penalty and be a polite gesture which is appreciated much. This way you might get an opportunity to use a video for non-profit aims even if it is under copyright. But remember: getting permission is not a complete solution, as the owner may change their mind about how their content is displayed on YouTube. #2 Do not copy CD, DVD, TV programs, and commercials, do not record shows and concerts. Åven if you bought a copy or visited the event yourself. In this case you are very likely to be punished for this, especially if you copied a thing of a famous brand. #3 Watch the YouTube Copyright School. Or, you can get into a LOT of TROUBLE! #4 Consult YouTube Copyright Center and your country’s law. Seriously. Maybe you’ll just smile here: millions of people use YouTube and have no idea of the law, the Help, or who are Happy Tree Friends and why you can get into TROUBLE. This is true, but imagine that you run a channel for a company. In this case violating law, especially using videos for profit, may hurt the whole company. Don’t hesitate to consult the lawyer if you are not sure. 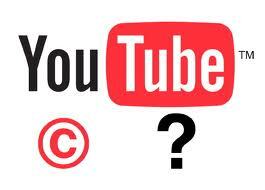 Although YouTube Copyright Center is not a law and is provided for informational purposes only, it may contain an answer to your questions. For example, in the US fair use is an exception for copyright protection. In the UK you can use videos free for criticism, review or reporting the news. #5 If you make a video, use the music that is provided by YouTube for that purpose. It is licensed and you will never get a penalty for putting it into a video. #6 Use videos provided under Creative Commons license. These videos are accessible for use for YouTube participants in their own videos via the YouTube Video Editor. #7 In case you have the rights to use the video for any purposes, inform the owner in advance. Why? YouTube has created tools for managing copyright and content for companies and brands. In short, YouTube’s Content ID allows to find uploaded videos similar to the original automatically. So the owner knows that his video is used at once. He or she may put it down, make money from it, or do nothing. To avoid automatic video removal it is wise to notify the owner. #8 Not sure  do not upload. If you are not able to figure out whether you abuse copyright law or not, the simplest way is not to push luck. It is not wise to think that your violation would not be noticed by the owner or Youtube. The very purpose of copyright law means that the owner can control certain uses of their work. Just imagine that someone is using your work to earn money. Feels like unfair, huh? #10 Make your own videos. This is the simplest way to be completely safe and use YouTube for your business. Original content has nothing to do with copies, legal or not. Remember that YouTube is not a monster that is busy with delivering penalties and boundaries for video creation. It is required to do so by law. This way the video service delivers inspiration for unique content production. And finally complex tip #11. In all these cases it may still be a copyright infringement. Don’t get into trouble, folks!